The number of English puns with the word Czech have no doubt reached millions by now, but if you go to the circuit of Most in the Czech Republic you’ll be in for even more. ‘The Most Fun Arena’ it says on the billboard at the entrance to the track – and the most fun is definitely what the drivers enjoyed who had come to Most for its Historic Grand Prix event. 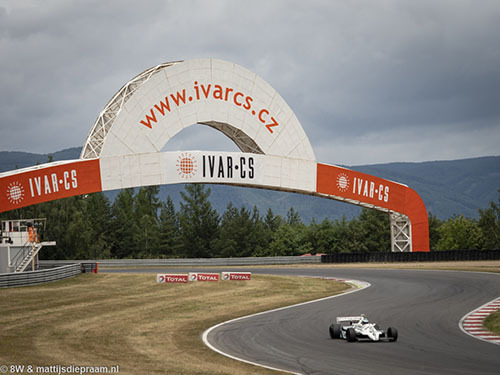 It’s a shame not more of them decided on travelling to Masters Historic Racing’s first outing to a former Eastern Bloc country, as Most is a wonderful track set in glorious landscape. And they too would have relished in the presence of some amazing machines from that era behind the Iron Curtain sharing the bill with the F1 cars, sportscars and touring cars from the West. 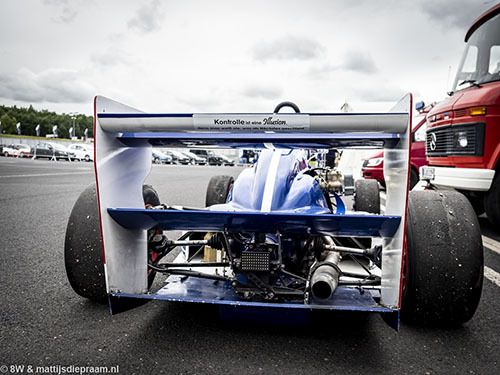 The weekend saw plenty of double winners, starting with Nick Padmore dominating in FIA Masters Historic Formula One. Having stormed to pole, the 2016 champion made light work of Saturday’s win and from eighth on Sunday’s reverse grid quickly pushed through to a second victory. Padmore’s closest rival was new boy Matteo Ferrer, who arrived at Most in the Ligier JS11/15 acquired from Pierre-Alain France. Fettled by Hall & Hall, the Italian debuted with two second places, leading Steve Hartley’s Arrows A4 on Saturday – Hartley pressuring Katsu Kubota (Lotus 91) into a mistake to claim the final podium spot – while on Sunday Max Smith-Hilliard’s Fittipaldi netted third overall to win the pre-78 class. Even though MSH was put under massive pressure by perennial class rival Greg Thornton (Lotus 77), the Fittipaldi driver turned the tables on Thornton who had won the class on Saturday after pushing Smith-Hilliard into a mistake. Saturday’s final step on the pre-78 rostrum was claimed by Andy Wolfe, who made a surprise return to Historic Formula One, having been handed Forza Historic’s spare Shadow DN5 to boost the numbers of an 11-car grid. Even though he didn’t make a winning comeback in F1, Wolfe was another double winner of the weekend, sharing victory with Michael Gans (AC Cobra) in the Masters Gentlemen Drivers race and with Mike Gardiner (Ford Falcon Sprint) in the Masters Pre-66 Touring Car race. The Gentlemen Drivers win was pretty much a walkover for Gans and Wolfe despite their AC Cobra not being the best suited to the twisty and undulating track. A lengthy pitstop gave Rob Fenn’s Lotus Elan 26R a look-in but Fenn admitted that Wolfe was simply toying with him before the Cobra eased away. Keith Ahlers and Billy Bellinger dominated the C2 class in their Morgan SLR, especially after the Nils-Fredrik Nyblaeus/Jeremy Welch Austin Healey 3000 ran into ignition problems. The Pre-66 Touring Car race got off with an epic tussle between Gardiner’s Falcon Sprint and the Mustangs of Fenn and Canadian Peter Klutt, tailed by Mark Martin’s Cortina that was ably piloted by Martin’s guest star driver, none other than Steve Soper. Fenn soon disappeared but Klutt began pressuring Gardiner until the two clashed, resulting in Soper’s innocent harpooning of the Falcon. Gardiner and Klutt survived, and with Wolfe taking over the Falcon it was soon back into an unassailable lead. Klutt finished second on the road but dropped to fourth overall because of a pitstop infringement. Soper and Martin pulled the shortest straw of the top-three’s contretemps, however, losing so much time to Norwegian Martin Strommen that Martin came up one second short of the Cortina class win (and second overall) at the end. 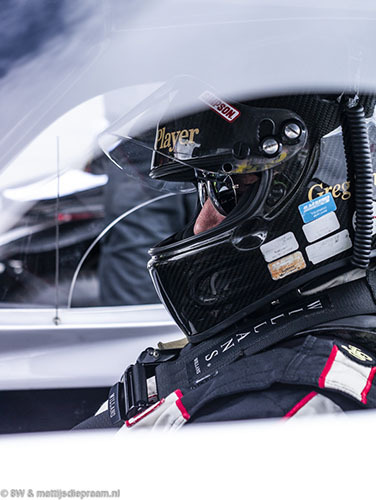 Michael Gans took his second win by pacing the FIA Masters Historic Sports Car race. Preventing being swamped at the start and in the opening laps by the more powerful Lola T70 Mk3Bs of Mike Donovan and Jason Wright was the American’s most important task, after which his Lola T290 disappeared from view. For 23 laps, Donovan and Wright were hammer and tongues over second place until the former made a precautionary stop to check for a puncture that wasn’t there. He still finished third. Ahlers and Bellinger clinched their second class win of the weekend by beating Chris Jolly/Steve Farthing (Cooper Monaco T61M) to pre-66 class honours. Their Cooper Monaco King Cobra had been hounding Michiel Smits in the Lola T70 Mk1 Spyder that had started from class pole, but Smits spun off after missing his braking point when a faulty fuel-pressure light distracted the Dutchman at precisely the wrong moment. The support programme at Most had a distinctly ‘Central-European’ feel to it. The AFR-Remus Formula Cup – born from the defunct German ATS F3 Cup – came with a collection of Dallara F3 cars from previous generations powered by five different engines, its field further boosted by the presence of several F Renault and F BMW cars. ATS F3 refugee team Jo Zeller Racing dominated both races, as its driver Sandro Zeller doubled up the wins. 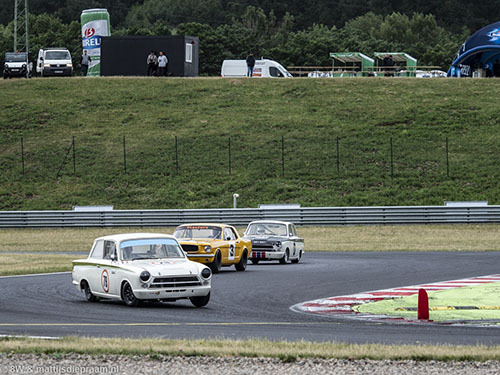 The other two series shared East-German origins, as both Haigo ADAC championships celebrated the fastest cars that raced behind the Iron Curtain in the seventies and eighties. The East-German Melkus marque produced the winner of both single-seater races, Nils-Holger Wilms in his BMW-powered Melkus 90 claiming top spot twice in a row, although he was chased by the Estonia cars of Falk Schwarze and Bernd Weber. It was a pleasure to study these remarkable, generally Lada-engined cars that employed ground effect as early as 1977 and sported skirts from 1981 on. Whereas the Formula Easter’s single-seater provenance was limited to the GDR and the Soviet republic of Estonia, rather more Eastern Bloc variety was found among the touring cars, with Skodas from Czechoslovakia, Zastavas from Poland and Ladas from the Soviet Union. Uwe Hahn’s Zastava qualified on pole but soon ran into trouble, leaving Dieter Hoffmann’s Lada Samara to take the win. Maik Thomas took his Skoda to the win on Sunday.